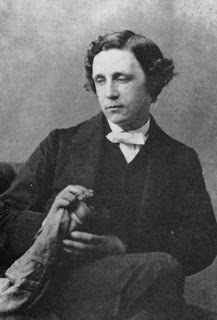 The following riddle about disabled veterans is from Lewis Carroll's A Tangled Tale. Say that 70% have lost an eye, 75% an ear, 80% an arm, 85% a leg. What percentage, at least, must have lost all four? I did this one visually and came out with 10%. Assume, w/o loss of generality, that we are dealing w/ 100 people. Since .7 have wound #1, .75 #2, .8 #3 & .85 #4, there are 70+75+80+85 = 310 wounds. The way to minimize the number who have all four wounds is to "give" three wounds to as many people as possible. Let this number of people be called u. Let v stand for the number of people that have four wounds. The smallest v that generates an integral u (which also must be <= 100) is 10. So, 10 out of the 100, i.e. 10%, have all four wounds.